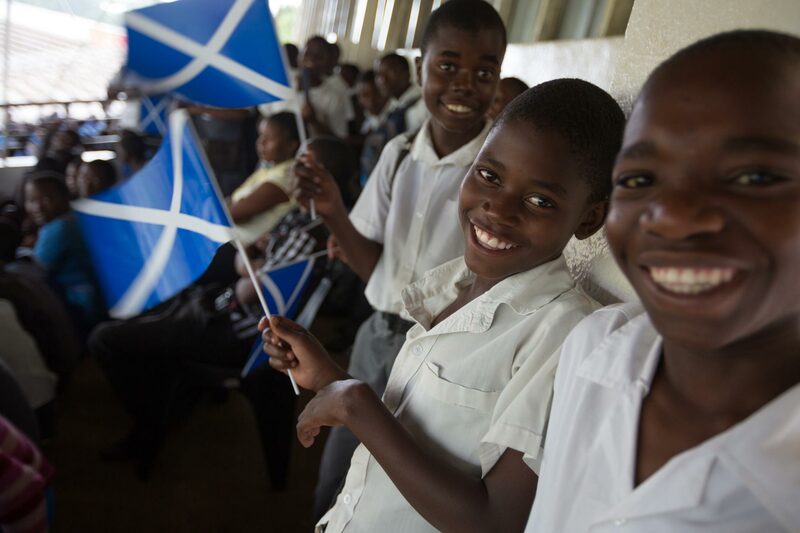 Schoolchildren with Scottish flags during a reception for the Queen's Baton, at Civo Stadium, in Lilongwe, Malawi, on Friday 24 January 2014. Malawi is nation 31 of 70 Commonwealth nations and territories to be visited by the Queen's Baton. Photograph by Jeremy Sutton-Hibbert, copyright © Glasgow 2014 Ltd, 2014.